Today the Halo Livestream unleashed a torrent of news bits, updates, and insight on a pretty diverse range of topics near and dear to a Halo fan’s heart – including Halo 5’s Overtime content update, important Halo esports info, and news on Halo: The Master Chief Collection. Plus, the release of Xbox One X in just a few weeks will usher in a new way to experience some of your favorite Halo titles making them look and play better than ever before. You can check out the full replay of the stream below, or scroll on down for all the details. Ready? Let's go! One of the prime highlights of the stream was brand new information and updates on the immediate future of Halo esports – from upcoming championships, to local competitions, and new ways to support some of your favorite squads. Halo’s world stage is back, and better than ever. With open qualifiers in four different regions and the best Halo players and teams across the world vying for glory, the Halo World Championship (HaloWC) 2018 aims to unleash a heroic new chapter in an already-legendary legacy. The action kicks off with an open LAN event in the United States, followed by four additional regional events in Europe, Australia/New Zealand, Latin America, and North America. In the end, 16 teams will vie not only for Halo esports glory, but for the lion’s share of a $1M prize pool. In addition, each open event will also feature a $5k FFA tournament for lone wolves looking to make a statement of their own. 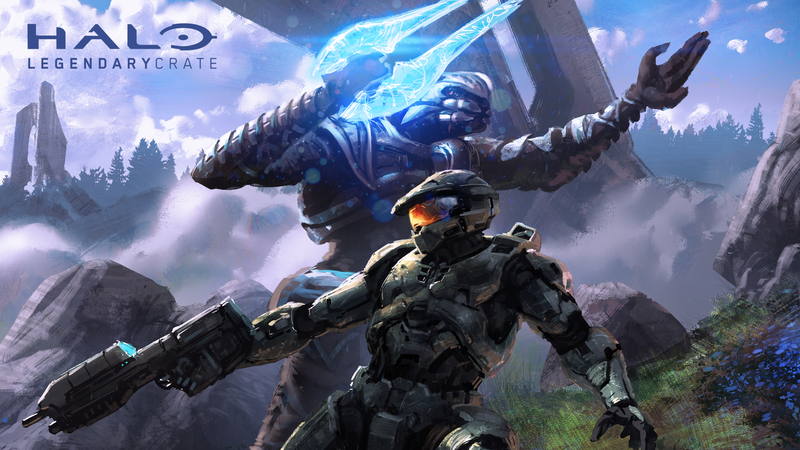 Stay tuned to halo.gg for even more exciting news, including expanded information on new events, and new partnerships. 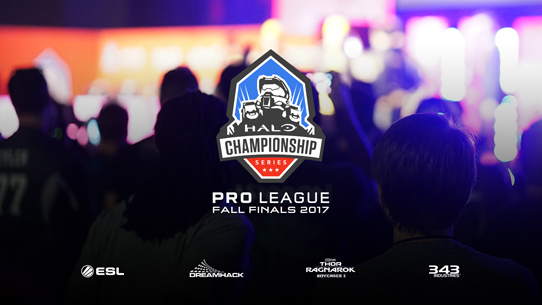 The HCS Fall 2017 Finals at DreamHack Denver are this weekend! From Oct 20-22, fans will get to see Halo’s top squads go at it in 2017’s swan song. Those who proclaim that it’s lonely at the top clearly haven’t been watching the Halo Championship Series this year. With different winners at nearly every major tournament, it’s become incredibly difficult to pin down a true favorite heading into DreamHack Denver. The action is going to be incredibly intense, and you aren’t going to want to miss a moment of it – catch it all streamed live on mixer.com/Halo & twitch.tv/Halo! For all the latest information, as well as predictions from our experts in the booth, make sure to check out our full HCS Fall 2017 Finals Preview. Beginning with Halo 5’s Overtime update, you’ll begin to see some new weapon skins arrive in Halo 5 over the next several months, including new liveries for Luminosity, Str8 Rippin, and defending HCS champions Splyce. 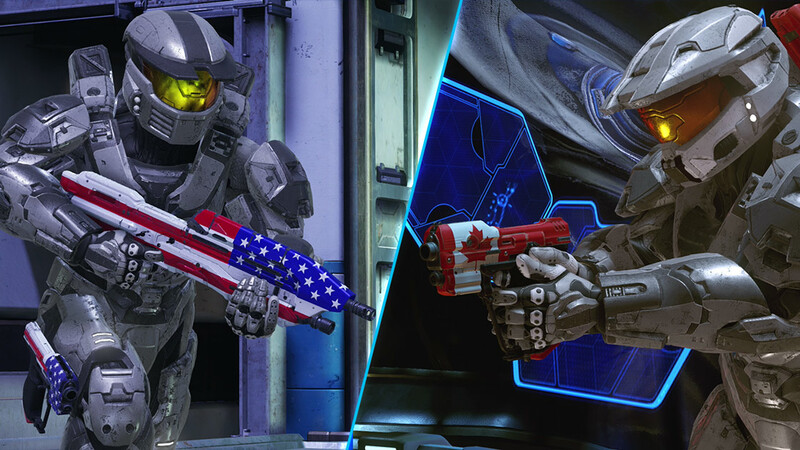 Plus, there will be a special weapon skin tied to the awesome Microsoft Store tournament program, and new skins to commemorate each of the host nations as the road to the Halo World Championship 2018 rolls through their respective regions. Stay tuned for more info on individual skin availability in the future! One of Halo 5’s biggest success stories this summer was the awesome grassroots tournament program kicked off and hosted by Microsoft Stores. Thousands of players and fans came out each month to participate and spectate in an epic display of competition, comradery, and community. On the heels of an awesome three-month run, we’re excited to announce an expanded Microsoft Store Halo 5 tournament program that sees the slate grow from three months to five, and from 53 stores to 83 – meaning every Microsoft Store on the planet will be hosting Halo 5 tournaments beginning next month. Kicking off the expanded slate, each MS Store will host a 2v2 Halo 5 tournament on Monday, Nov 6 to coincide with Xbox One X launch parties, and in December, MS Store tournaments will begin taking advantage of the new Halo 5: Guardians Local Server app. The program will run through March 2018, so make sure you find your nearest location and register online now to be part of all the action! Speaking of awesome stuff going on in the MS Stores, beginning today all MS Stores will be featuring the recently announced Halo Recruit demo on Windows 10 Mixed Reality (MR) devices, letting you experience your favorite universe in a way you’ve never done before. Also, if you’ve got a Windows MR device at home, you can download Halo Recruit and try it out for yourself on your own machine! Trust us, you should give it a look. And for more information on the Halo Recruit project, you can check out our official announcement HERE. The Halo 5 Overtime content update brings a host of tweaks, adjustments, and other goodies all designed to improve overall player experience. Let’s a closer look at the big-ticket items we’ve got in store. The team at 343 Industries has been working closely with Skybox Labs (longtime Halo development partners on various projects including Halo 5: Forge for Windows 10) on enhancements to Halo 5 for Xbox One X. This update takes advantage of the extra power of Xbox One X to deliver higher visual fidelity for players who have compatible hardware. We’ve had builds running here in the studio for quite some time now and although we’re clearly biased, there’s no denying it looks stunning on a 4K display. And of course, even if you don’t have an Xbox One X, there’s still plenty to look forward to in Halo 5’s November update as you’ll see below. We’ll have additional details in the weeks ahead, stay tuned. Oddball is back in Halo 5, with a full suite of mode-specific medals, new VO, and a return of the ballyhooed and beloved skull as “the ball.” This fan-favorite mode looks to give players yet another way to have a blast with fellow Spartans on the battlefield. Another awesome new addition to your multiplayer experience is the Halo 5: Guardians Local Server app, which provides another new way to create, host and play custom multiplayer games in Halo 5 on Xbox One on a local network via a super easy-to-use app. 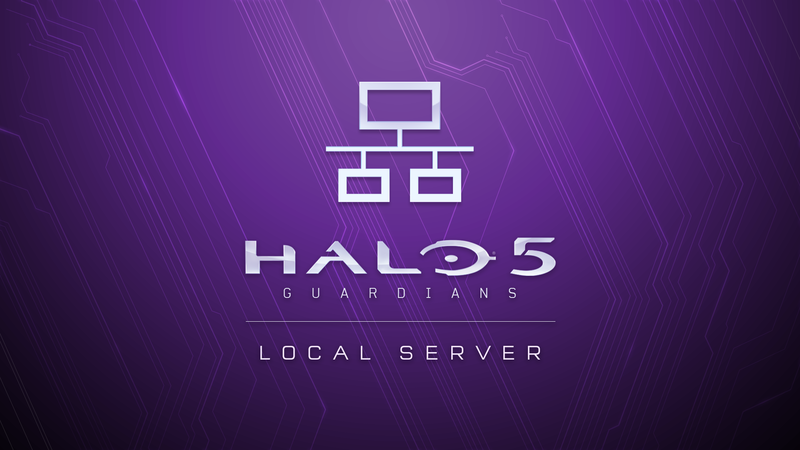 With this new app, players can host a local server on a Windows 10 PC connected to the same network as Xbox One consoles to enjoy easy, low-latency Halo 5: Guardians multiplayer matches – perfect for LAN parties, events, or running your own tournament. The Local Server app provides a method for tournament organizers to set up their own events in a scenario that mirrors the environment used for professional matches. With these new options, you can create a local server similar to those used for the Halo Championship Series events, providing an ideal proving ground for everything from professional and amateur competitive teams to friendly tournaments. We’re incredibly excited to see what players and communities do with this new functionality, and hope everyone enjoys! Last month we conducted a public test of these newly tuned weapons in a special matchmaking playlist which you can read all about right here. Over the course of the test we received an enormous amount of feedback via our Waypoint forums and official surveys which, along with a plethora of game data, have helped the team assess and refine these weapons before they get released in the November update. While most of the tuning test weapons landed where the team intended, some did not, and in response to player feedback and data the team has been working on additional tweaks and adjustments. We’ll provide a deeper dive into each weapon with more insights into exactly what’s changing and why in the coming weeks, but on today’s stream we focused on the handful that drew the most feedback during the test period. The Battle Rifle was re-tuned in several ways to help better distinguish its prowess as a mid-range weapon while also looking to slightly reduce its effectiveness in longer range engagements. In general, the team likes how some of these changes resonated and the data gathered was positive – particularly the cadence and rhythm – but we heard from many of you that a feeling of “randomness” and “inconsistency” did not feel good. The BR was taken back into the shop with the goal of addressing this feedback and will ship with recoil that’s in-line with the original launch version and a bit tighter bullet grouping compared to what players experienced during the tuning test. The goal for the Gunfighter Magnum was to curtail the effectiveness of this weapon at longer ranges and make it really shine as a close quarters secondary weapon. Overall the test version worked out pretty good, but the team felt there was room to do a bit more to help it further go toe-to-toe against CQB battles vs. SMGs and ARs and player feedback was strong that the weapon felt too weak. To help address this, the Gunfighter magnum has seen additional refinements to make it “snappier” in terms of drawing and readying while also boosting its damage and accuracy. The Rail Gun was tuned with the goal of trying to make it have a bit more of a deliberate, planned usage in battle vs. the insta-fire, insta-kill snapshot weapon it has become. The version of the Rail Gun that was included in the public test did solve the goal of reducing its effectiveness as a snapshot/CQC weapon, but the overly long charge time combined with instant firing made it overly difficult to use in the heat of battle. Many players stated it didn’t feel fun and the team agreed. To help address this, the updated Rail Gun will land in the middle with a slightly longer recharge time than the original default version and a slightly slower fire time at the tail end than what was in the public test. In other words, it takes a little longer for you to charge the weapon, but you can also hold that charge longer as well before firing. Changes to the Assault Rifle’s tuning were aimed at rewarding more skillful use. The results of the tuning test didn’t truly align with our goals and much of the player feedback echoed that outcome. During the test, the AR essentially became more cumbersome and harder to use, which isn’t what the team was going for. For the November update, the AR has been addressed with a goal of making it more understandable and approachable, but with more depth. The refined AR will receive an increase to accuracy and a slight increase to its fire rate but at the cost of decreased damage per bullet. During the public test we, weren’t able to include grenades due to technical limitations, but it has always been a goal to make adjustments to both Frag and Splinter grenades in Halo 5. When the November update lands, both of these grenade types will be adjusted across all game modes. Frag grenades are being tweaked to have a slightly reduced blast radius. The goals for this change are to reduce the effectiveness of “spamming” grenades while also doing a better job of aligning the area of effect of the blast with the on-screen VFX. Splinter Grenades are getting tuned to address the fact that they feel “cheap,” and overpowered in their default implementation and are overlapping too much with direct burst damage role of the Frag Grenade. To solve for this, the initial blast damage is being reduced to make Splinter Grenades excel as an “area of denial” weapon as intended. All of the changes above along with the other weapons in the tuning test will be launching in the Halo 5 Overtime content update this November and will replace their existing default counterparts across every game mode. The team is standing by and will be monitoring very closely to ensure these tuned weapons are performing as intended – especially in Warzone and Campaign – and already have processes and schedules in place to allow for further iteration if/when warranted. This has been a very exciting process that will not only result in the Halo 5 sandbox being even better than before but has also provided tremendous learnings to the team to help as we look to the future. Stay tuned for a much deeper dive to come prior to the November update where we’ll share finer details of every weapon that’s being changed, what’s changing, and why. Last week, we introduced the Relief & Recovery REQ Pack in Halo 5: Guardians in response to the seemingly unending string of challenges reality has thrown humanity’s way recently. From the Gulf Coast to Puerto Rico, from hurricanes to earthquakes to wildfires, there’s been no shortage of unbelievable hardship suffered by folks from all walks. 100% of the proceeds from the Relief & Recovery REQ Pack which will go to GlobalGiving in effort to aid those still in desperate need of some assistance and respite. Players who pick up the pack will receive five permanent REQs selected from the most popular visual customization REQs of ultra-rare or better rarity, if available, as well as ten rare or better boost cards. 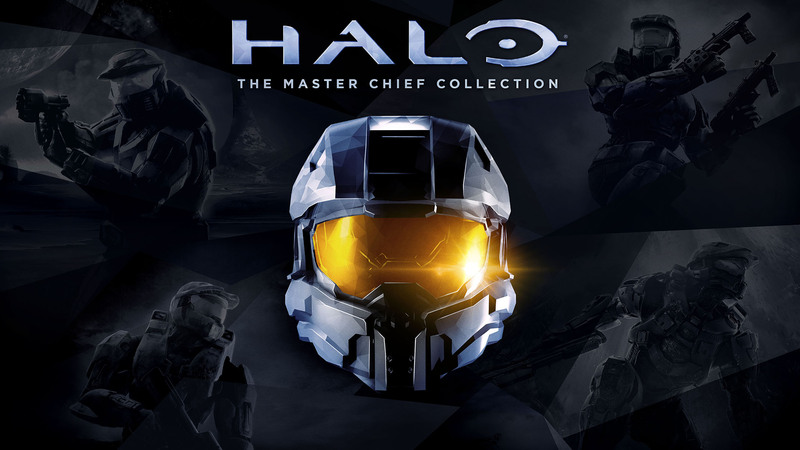 You can grab the pack from Oct. 12-23 both in the Halo 5 in-game REQ Store or in the Xbox Live Store for $9.99 USD. Already in less than one week, the Relief & Recovery REQ Pack has generated over $150,000 in donations. We’ve been incredibly humbled by the response already and couldn’t be prouder of every single Spartan who has contributed to these efforts to provide aid to those in need. From all of us at 343, thank you. It’s no secret that Halo Wars 2 is also getting enhanced for Xbox One X with visual upgrades that will also take advantage of what the newest console has to offer. Halo Wars 2 on Windows 10 PC has supported 4K resolutions since launch – and HDR was added for both Xbox One S and PC several months ago – so this update will bring all of that visual goodness over to your new Xbox One X. But perhaps what’s even more exciting for Halo Wars 2 players are the two other additions coming to game – for everyone, on all platforms – with this next update. We’re excited to be rolling out support for Xbox Arena which will let players organize and conduct their own online tournaments in Halo Wars 2. Xbox Arena on Xbox Live officially launched in May and the 343 team has been working closely with our partners at Creative Assembly and on the Xbox platform team to bring this great feature to Halo Wars 2. Xbox Arena tournaments can be created or joined from either the Halo Wars 2 game hub or via an Xbox Club. The team is excited to see what the community will do with this awesome new feature when it rolls out in just a few weeks. With it being mid-October (already?! 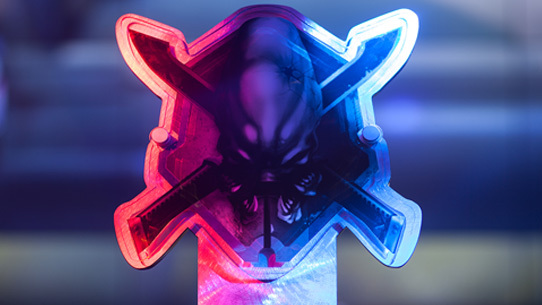 ), we also want to remind fans that there are lots of ways to give your Halloween happenings the Halo hook-up – we showed off an awesome range of offerings earlier today on stream, but you can check out our full Halo-ween Costume Guide as well for more information on how to dial up the duds you might need. Plus, today on the stream we also revealed the next theme for our Halo Legendary Crate – Halo 3! Stay tuned for more info, but for now, feast your eyes on the amazing key art by the heroic Isaac Hannaford! 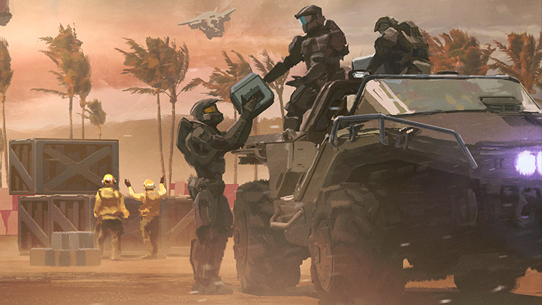 We hope that with all the exciting news and events outlined in today’s very special Community Update, you’ll agree that it’s a pretty awesome time to be a Halo fan. Plus, we’ve got a few other cool things to talk about soon as well that you’ll likely be interested in, so – as always – stay tuned. Thanks for reading, and we hope your join us for the HCS Fall 2017 Finals at DreamHack Denver this weekend!